The Best Neuropsychology blogs from thousands of top Neuropsychology blogs in our index using search and social metrics. Data will be refreshed once a week. Neuropsychology newsletter is a comprehensive summary of the day's most important blog posts and news articles from the best Neuropsychology websites on the web, and delivered to your email inbox each morning. To subscribe, simply provide us with your email address. About Blog Information about neuropsychology, neuroanatomy, neurodevelopment, studying neuropsychology, being a neuropsychologist, and related topics. About Blog The Journal of Neuropsychology publishes original contributions to scientific knowledge in neuropsychology including clinical and research studies with neurological, psychiatric and psychological patient populations in all age groups, behavioural or pharmacological treatment regimes, cognitive experimentation and neuroimaging. Facebook fans 36,306. Twitter followers 3,806. About Blog Neuropsychological Rehabilitation publishes human experimental and clinical research related to rehabilitation, recovery of function, and brain plasticity. Facebook fans n/a. Twitter followers 5,135. Londonderry, NH, USA About Blog Neuropsychology & Education Services for Children & Adolescents is a pediatric neuropsychology practice and integrative treatment center in Newton, Massachusetts, serving clients from preschool through young adulthood and their families. Facebook fans 2,598. Twitter followers n/a. About Blog The Society for Clinical Neuropsychology (SCN), Division 40 of the American Psychological Association, is a scientific and professional organization of psychologists interested in the study of brain-behavior relationships, and the clinical application of that knowledge to human problems. Facebook fans n/a. Twitter followers 1,966. Fayetteville, AR About Blog Our mission is to provide comprehensive, research-based neuropsychological services to the Northwest Arkansas Community and surrounding areas. We endorse the clinician-scientist-practitioner model, which integrates research and empirical findings into direct clinical practice. FL About Blog Dr. Ariel Frankel works with adult and adolescents with severe mentail health disorders in South Florida. Mountain View, CA About Blog Comprehensive up-to-date news coverage on neuropsychology , aggregated from sources all over the world by Google News. Facebook fans 23,674,108. Twitter followers 213,564. About Blog News about our knowledge of the brain and behavior from Anthony Risser, Ph.D. Dr Risser is a neuropsychologist and pharmaceutical CNS clinical-trials consultant. He teaches applied methodology for University of Liverpool Online. He also provides diagnostic assessment of patients with neurodegenerative diseases, stroke, traumatic brain injury, and of suspected memory problems in aging. Facebook fans n/a. Twitter followers 63,502. Melbourne, Australia About Blog Gives idea like how neuropsychologists can benefit from using technology. Bloomfield Hills, MI About Blog Clinical neuropsychologist in Bloomfield Hills MI focusing primarily on children, adolescents, and adults who struggle at school, work or in the community. SPAIN About Blog Website of the Neuropsychology and Cognition Group at the University of the Balearic Islands. Our research aims to better understand the mechanisms underpinning attention, memory, executive functions, distraction, cognitive aging. About Blog At the Portsmouth Neuropsychology Center we provide a range of clinical services including neuropsychological evaluations for children, adolescents, and adults; psychotherapy for children, adolescents, and adults, social skills groups, educational consultations, legal consultations, and presentations to schools and community groups. About Blog Psychologists & Brain Injury Specialists dedicated to compassionate care for individuals with brain injuries & other neurological impairments in New Jersey. New York About Blog Neuropsychology of learning, behavior and emotional disorders first experienced as a child. New York About Blog I work with people to help them understand themselves, in order to better use their strengths and overcome their challenges. To do this, I use the tools of neuropsychological assessment, which includes an interview, review of educational and medical records, and the administration of neuropsychological tests. Facebook fans 21. Twitter followers 19. About Blog Dr. Dr. Henry has been passionated by neuropsychology from the first day she encountered that discipline. Cumulating many scientific publications in that field, as well as attending conferences, meetings and workshops, she is dedicated at providing state-of-the-art solutions for her clients. Warrington, PA About Blog At The Center, our purpose is to provide you with the help you are looking for in a comfortable, accepting setting. We understand how important it is to find the right person to get that help. That's why we offer specialized services by highly-trained, experienced and licensed professionals, who are not only compassionate, but who use their expertise to understand the situation. Phoenix, AZ, USA About Blog Read the latest updates on neuropsychology and dementia prevention. Dr. DenBoer specializes in psychological and neuropsychological consultation. Facebook fans 890. Twitter followers 120. 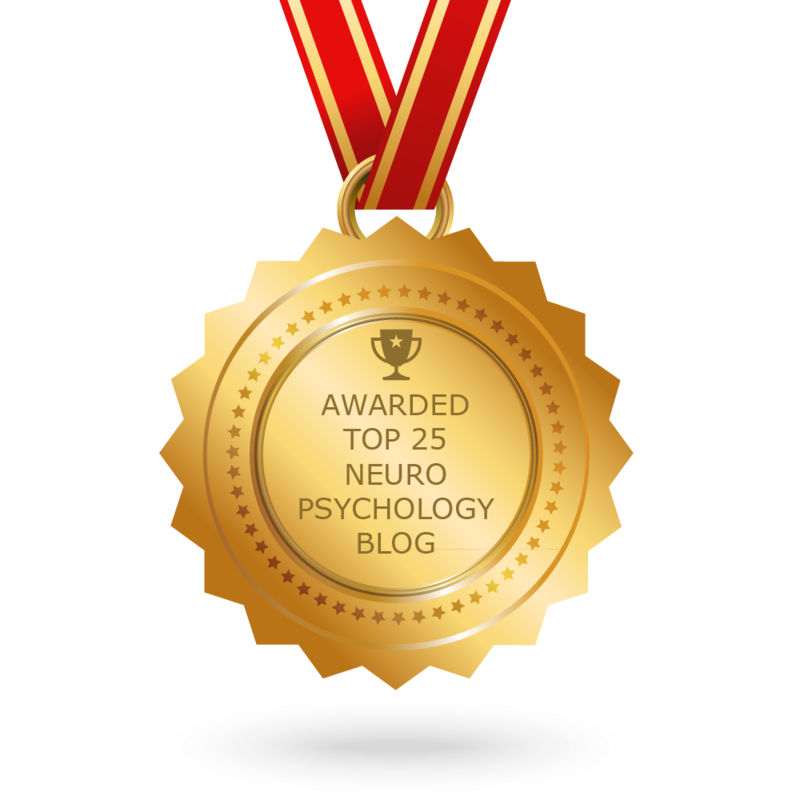 CONGRATULATIONS to every blogger that has made this Top Neuropsychology Blogs list! This is the most comprehensive list of best Neuropsychology blogs on the internet and I’m honoured to have you as part of this! I personally give you a high-five and want to thank you for your contribution to this world.